A modern alternative to the surgical mask may be on the horizon. The new method of infection control would involve the use of cold, or non-thermal plasma. This new research has developed a method that ensures 99.9% of harmful viruses are removed or made inactive in response to a nonthermal plasma reactor. Currently, a surgical mask is still used to prevent the dispersion of harmful airborne viruses and this method would characterise a huge leap forward in technology. Researchers from the University of Michigan have shown the ionised, or charged, particles that form around electrical discharges such as sparks, can achieve this in a fraction of a second. To test this the scientists pumped a model virus (harmless to humans) into flowing air as it entered a reactor. Inside the reactor, borosilicate glass beads are packed into a cylindrical shape, or bed. The viruses in the air flow through the spaces between the beads, and that’s where they are inactivated. The cold plasma enters bacteria, viruses and fungi and destroys the free DNA of the microbes inside the cells, killing them. In contrast eukaryotic human cells are protected much better, among other reasons because their DNA is inside of the nucleus. 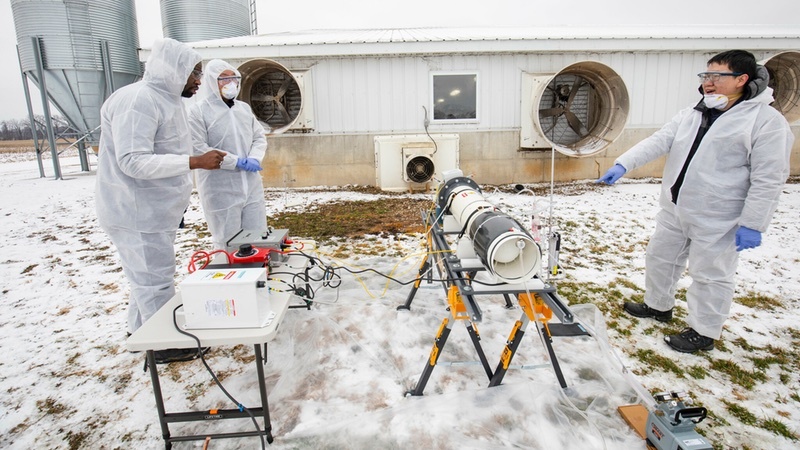 This parallel approach, combining filtration and inactivation of airborne pathogens, could provide a more efficient way of providing sterile air than technologies used today, such as filtration and ultraviolet light. Traditional masks operate using only filtration for protection. Ultraviolet irradiation can’t sterilise as quickly, as thoroughly or as compactly as non-thermal plasma. Other uses for the device are near completion. Terraplasma Medical are creating a battery-driven cold plasma medical device, shown to help infected chronic wounds such as leg ulcers. In May, this device will be evaluated for wide use in a medical trial across multiple German healthcare institutes. The applicability for cleanrooms could be great, with the technology showing great promise of working with air filters to prevent infection.